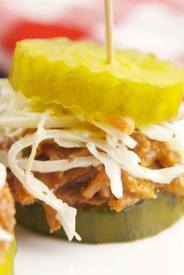 Pulled Pork + Pickles = Heaven. Store bought pulled pork gets a major upgrade with this mouthwatering recipe from Delish! So easy, yet so ingenious! !